The writer-director Alexander Payne has the right double-edged temperament for The Descendants, a “family comedy” in which the mother lies in a coma, and a daddy who is forced to re-examine his past and embrace his future after his wife suffered a boating accident off of Waikiki. The event leads to a rapprochement with his young daughters while Matt wrestles with a decision to sell the family’s land handed down from Hawaiian royalty and missionaries. 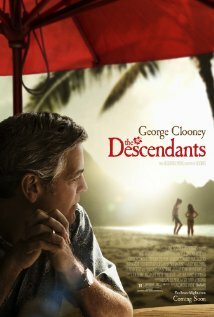 The Descendants is very closely based on a novel by Kaui Hart Hemmings. 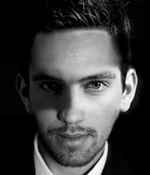 The actor labors diligently to overcome George Clooney’s natural glibness and ridiculously good looks to portray a man uncomfortable around people, uneasy with kids, and pissed off by everything—a self-absorbed workaholic. Narrated in a bold, fearless, unforgettable voice and set against the lush, panoramic backdrop of Hawaii, The Descendants is a stunning debut novel about an unconventional family forced to come together and re-create its own legacy.